Although I have previously heard some albums in which Steve has been involved, most notably the awesome Bomber Goggles and their incredible album ‘Gyreland’ (if you haven’t already bought this then you need to), this is the first time I have come across one of his solo albums. Steve provides guitar, bass, keyboards, drums, and vocals, and is joined by Böhn (acoustic and electric guitars and backing vocals) and Bingo Brown (drums, percussion, and backing vocals). ‘Stargazer’ is a concept album, and is the nickname given to the hero of our story born into a dystopian future in which man’s neglect has made Earth no longer habitable. This is a similar theme to ‘Gyreland’ and the impact of humanity’s impact on the earth, and at this point, it is not possible to save the planet so people have to leave. 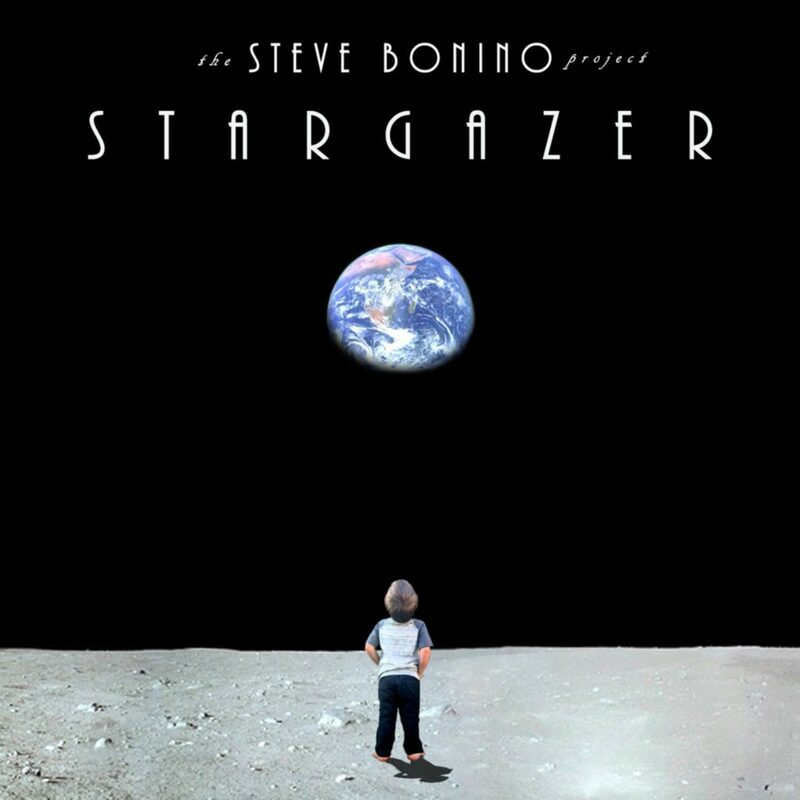 Steve has a knack of bringing together multiple musical themes and styles and bringing them together in a fashion that is best thought of as crossover progressive rock, with large elements of power pop styles. The songs are all short, with only a couple daring to break the five-minute barrier and are incredibly infectious. In fact, one can imagine quite a number of these being played on the radio to great effect. Take “Phoenix Rising” for example, here we have find Steve channeling Weezer while with “In The Darkness” it is much more like Nik Kershaw! The music is fluid, sonorous, and always with stacks of melody and hooks. It is an incredibly accessible album, one that I knew I was going to enjoy from the very first note, as the title cut opens proceedings with layered harmony vocals. This is a poppy funky rocking number that shows inspiration from Utopia, and I defy anyone not to sing along with the chorus when it returns. Straight away I was smiling, grooving in my chair, knowing that this was yet another to add to my list of albums of the year – and given that ‘Gyreland’ is also in the Top Ten, Steve’s not doing badly. He has a real knack of producing catchy songs, giving them enough depth so that they have a real presence, but also showing restraint. There is the impression that ‘Stargazer’ could have been a lot heavier, it wouldn’t have taken much in the mix but it works great as it is. There are also little touches, like the bass slide up and down the frets in the chorus, which definitely add to the overall piece, and from that we go into the far more jagged “The Celestial Show” which has a very different attack both in terms of arrangement and vocals, yet is also another great number. This is quite some album, highly recommended.